Personalise this Mr & Mrs Glass Clip Top Jar with a surname up to 15 characters and date up to 15 characters. A practical addition to your kitchen which can be used to store anything from Jam to Pasta! 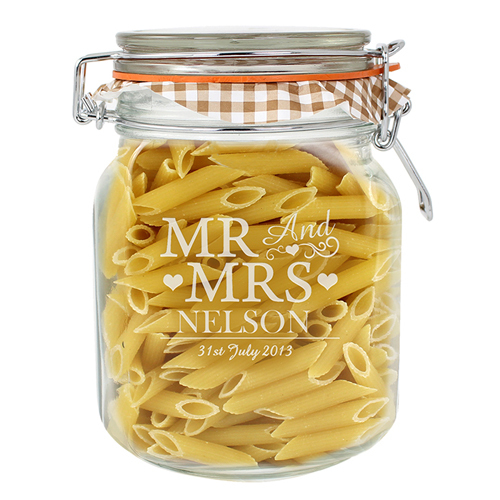 Personalise this Mr & Mrs Glass Clip Top Jar with a surname up to 15 characters and date up to 15 characters.